?Can I file a damage lawsuit for the Royal Oak gas explosion? ?Which is the best law firm for Michigan wrongful death lawsuits? Our Michigan wrongful death lawsuit lawyers represent family members of individuals who died due to the negligence of another or were tragically killed in an accident. We also pursue wrongful death lawsuits for medical malpractice, nursing home neglect, and other types of negligence cases. The procedures for disbursing the settlement proceeds to the surviving family members. The procedures for filing wrongful death claims and lawsuits are different in every state. The time limitations for filing lawsuits varies as well. In addition, the type of case also determines the statute of limitations as each case type has a separate and distinct time filing deadline. If you miss a deadline, your claim will be lost forever. We will represent you in your Michigan wrongful death lawsuit under our NO-FEE PROMISE. This means that you will not be charged any legal fees whatsoever unless we obtain a settlement or recovery for you. You have absolutely no obligation for legal fees unless we win your case. If we do not obtain a settlement for you, you owe us nothing! When someone dies an unlawful or accidental death due to the fault of another, surviving family members can file a wrongful death lawsuit. To better understand the secret deadlines that will destroy your case if you delay in hiring a lawyer, download our FREE hand guide, "The Ultimate Michigan Wrongful Death Lawsuit Handbook," by Lawrence J. Buckfire. Cases related to wrongful death accidents are brought by family members seeking justice for the loss of a loved one. We can help your family after a tragedy involving an accidental or unlawful death. The book sells for $14.95 on Amazon, but you can download it immediately for FREE. 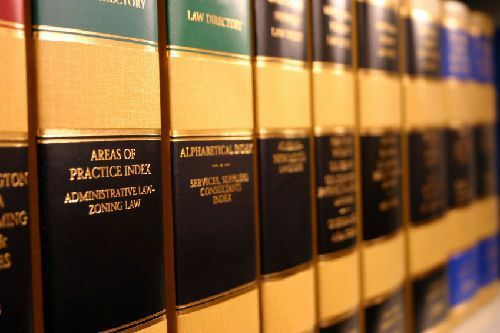 For more information on how to file a wrongful death lawsuit, call us now at (800) 606-1717 to speak with one of our experienced Michigan wrongful death lawyers about your case. We will start working on your case immediately and begin gathering witness statements and evidence to prove and win your case.